Of monumental scale, these fine and impressive figural candelabra perfectly encapsulate the fashion for ornate interior lighting in 19th Century France. 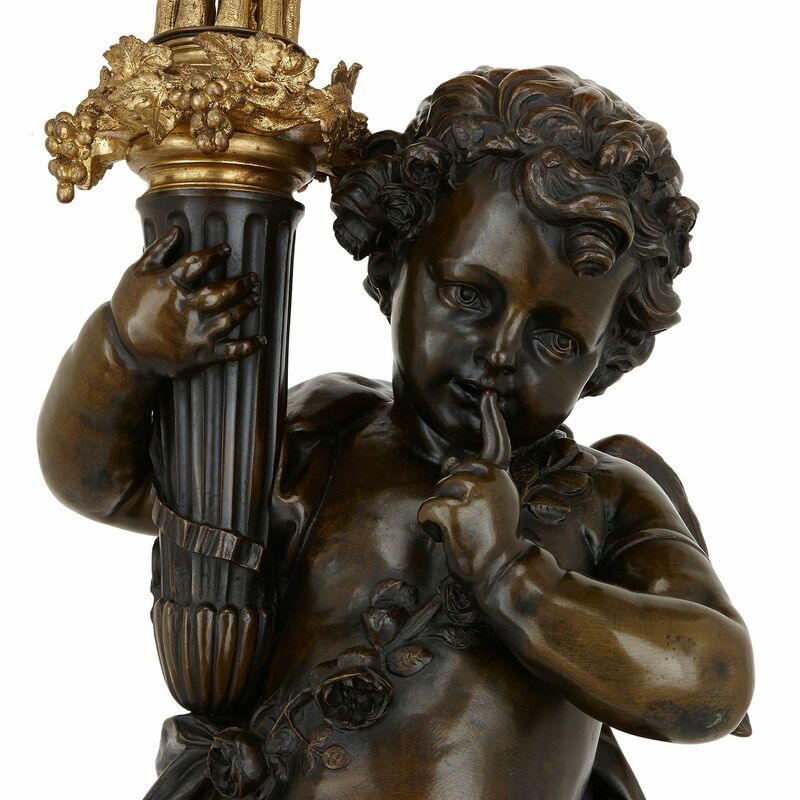 Each torchere takes the form of a bronze sculpture of a winged putto holding aloft an ormolu torch with ten lights, on scrolling branches with floral decorations. 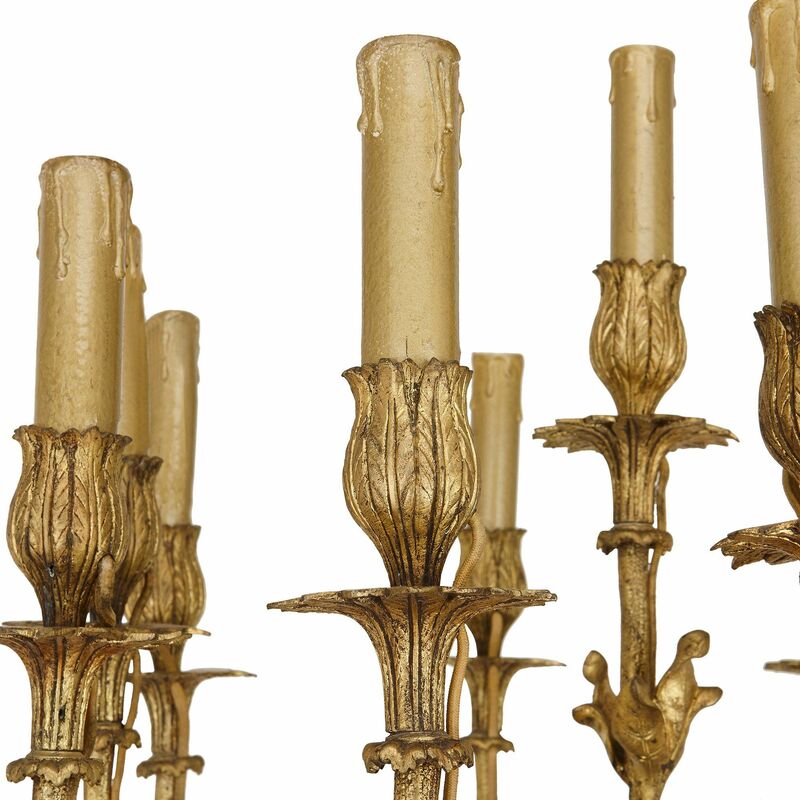 The candleholders are in the form of flower bulbs, and there are shaped, flower-form drip pans below. 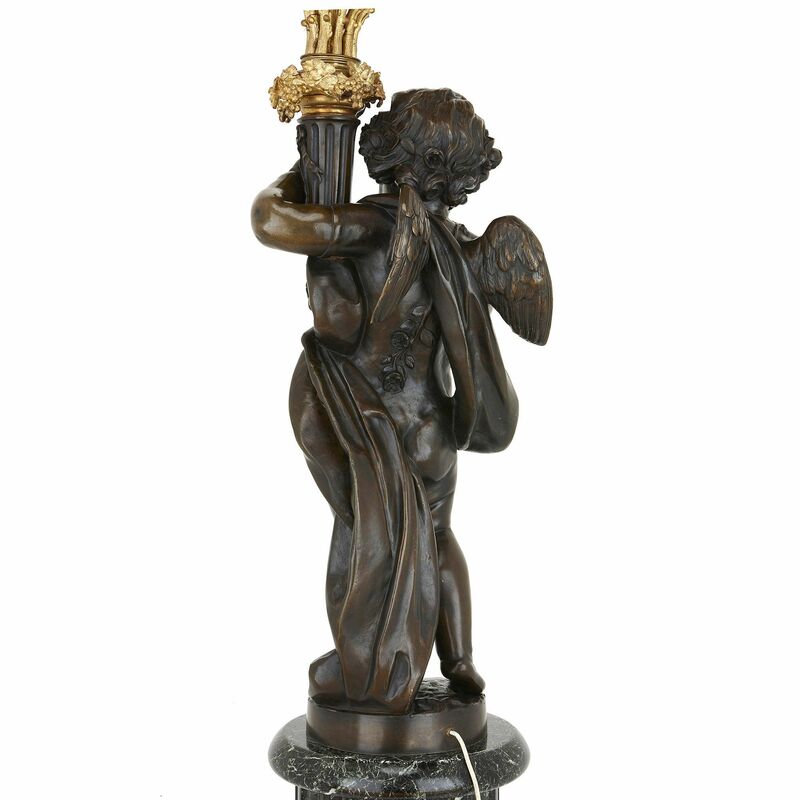 The casting and chasing employed is of superior quality, indicative of one the finest foundries of this period, such as Deniere or Barbedienne. 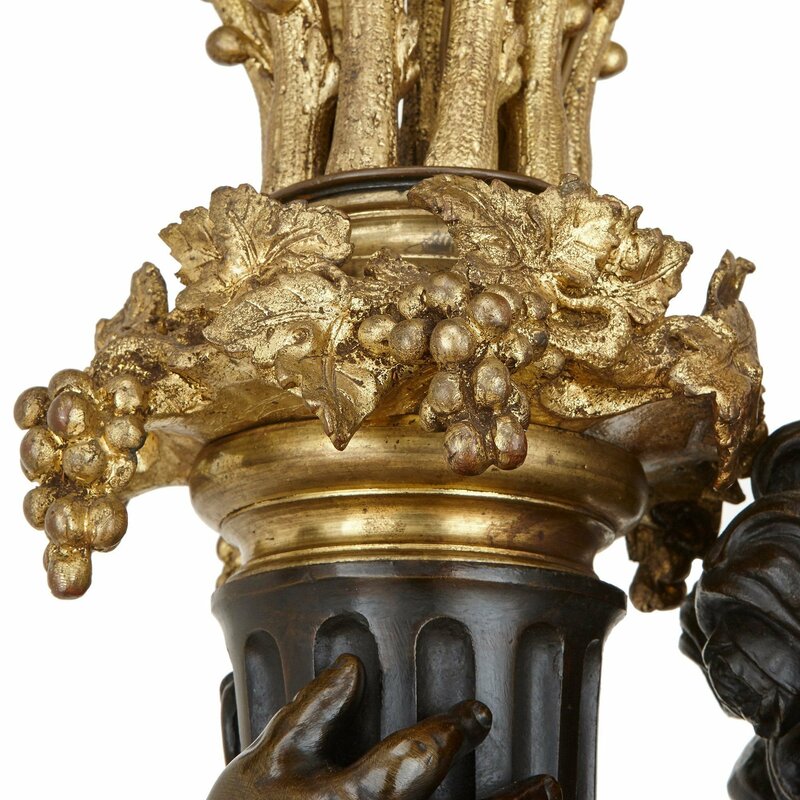 Each torchere is set on a fluted cylindrical pedestal built from Vert Maurin marble and set on square marble bases. 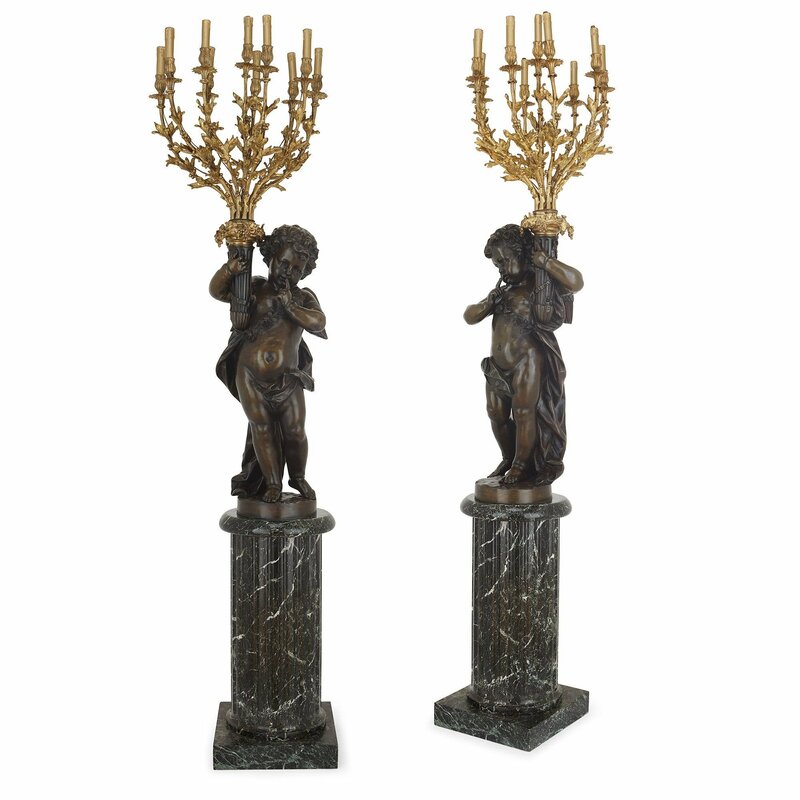 A pair of candelabra of the same model sold Christie's, London, 18 September 2014, lot 138 (£92,500). 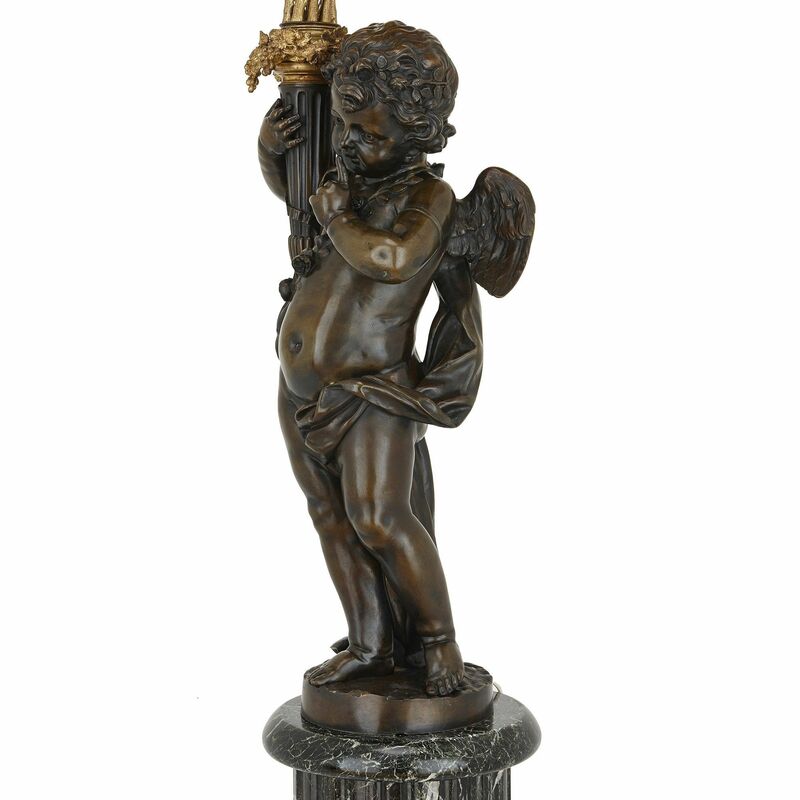 A related model from Crockfords Casino sold Christie's, London, 14 March 2013, lot 160 (£91,875). 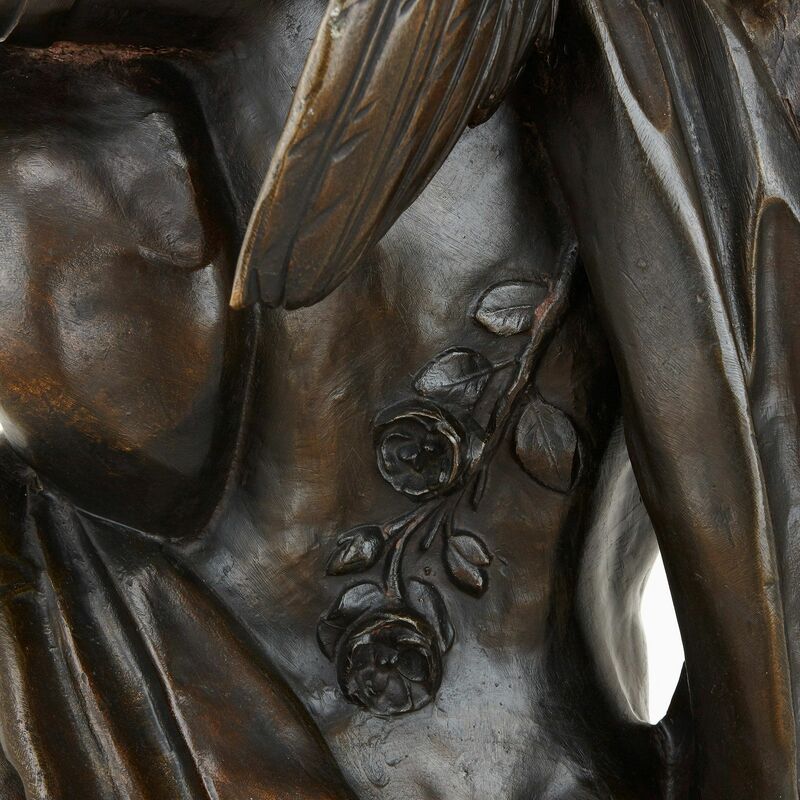 Another similar pair sold Sotheby's, New York, 20 April 2007, lot 160 ($312,000).